In the space of three months, Hong Kong will see Armin Van Buuren, Above and Beyond, Tiesto, Kygo, Zedd, Rezz, Flume, Marshmello and Robbert van de Corput – aka, Hardwell (among many, many others) all play across two festivals plus a set in Macao. That is absolutely ridiculous. These three months will be remembered as a watershed moment for dance music in this part of Asia. In particular, the first and last names on that list have been jostling for the position of number one in the world at what they do for years now. Not just in things like DJ Mag, but in the hearts and minds of trance fans around the world. 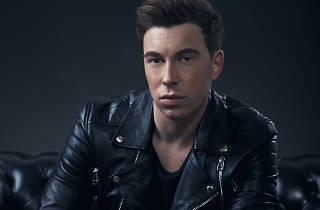 First up, let’s talk about the Hardwell & Friends EP. How’s the reaction been since it dropped? Ah, it has been crazy! I wanted to put out an EP with some collaborations and was thinking of a way I could do it to keep it interesting for the fans, but also make sure that each track got its share of the spotlight. Because with EP’s, it can be difficult for all the tracks to breathe among the other records featured. So, doing it across five days just felt like the best way to do it. What was great was to see the momentum build as each one was released. The range of collaborations on the EP offers a different dimension to each song and seems to give you more scope to play with the sound to fit the singer, is that something you were actively going for in the planning stage? Absolutely! I’m playing around with a lot of sounds and ideas right now, but I also wanted to continue releasing music, so doing things like an EP in this way helps me achieve both my goals. I’ve never been an artist looking to stick in one lane and musically I’m really focused right now on stretching my sound and exploring that as both a DJ and producer. Will we be hearing some of the tracks or any new material at your Hong Kong Ultra set? Definitely. I’m not sure what yet, but I’ve a lot of new material that I’m playing in my sets and a lot more which I’m working on which will feature in my sets. 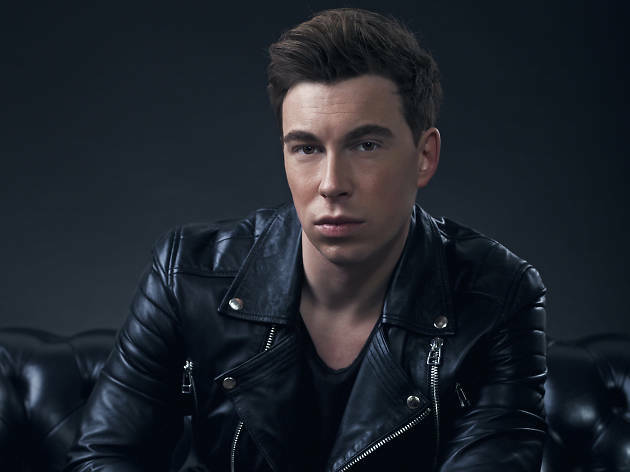 So expect a lot of new Hardwell music in the coming months. Who would be your dream collaboration if you could work with anyone? This is always such a touch question because it depends on what mood I’m in. But, guys like Dr Dre and Pharrell Williams are some artists I would love to get into the studio with and just jam with some ideas. We wanted to create a cool, stylized video that gives the viewer the build up buzz before hitting a cool party with friends. The theme is in line with the title of the track, so having a few references was just a bit of fun that we threw in. It’s not really aimed at any one type of person or culture but more just us bringing some suspense to the screen in the buildup to the night. The nocturnal behavior of creatures of the night. Let’s shift gears a bit here… I would love to know your thoughts on Ultra/Road to Ultra as a festival and what it brings to the global scene? Ultra is one of the most identifiable brands in electronic music, in fact the music industry as a whole. They’ve managed to create something very special and a unique experience and then take it on tour to new countries and places as they grow. It’s amazing to be a part of the Ultra experience and to be on stage sharing it with the fan base. Do you think the festivals expansion throughout Asia shows that people are falling more and more in love with this kind of music? Is that something you’ve noticed from playing sets in Asia? One hundred percent. Dance music has become global and it's here to stay. What the strength of events like Ultra have shown us is this thing we call, 'electronic music', is not a passing trend, but a big industry of passionate artists, event organisers, fans etc. Asia has adopted the dance music scene in such a vibrant and impressive way, I’m very excited to see where it will led us in the coming years. It’s an exciting time to be a dance music fan and especially one living in Asia. You're largely considered one of, if not the best in the world at what you do… how does that sit with you, does it bring a certain degree of pressure? I’m truly grateful for every moment I’ve been able to spend doing what I love to do. Having the support of the fans who have been there with me all the way is amazing. I work really hard to keep my life in music focused on what needs to be done and to allow myself the freedom to be creative. What makes a great set in your eyes? Passion, energy, amazing music, an understanding of how to build/work a set and how you are connecting with the crowd. There’s many factors but it all comes down to loving what you are doing and sharing that with those on the dancefloor.